This year Americans will have to work on average another six days before reaching Tax Freedom Day [the day that the average American has earned enough money (in theory) to pay off his or her total tax obligations for the year]. But the evening news shows have not reported this story. Six years ago, Tax Freedom Day fell on April 12, five days before tax day. In 2016, Tax Freedom Day isn’t until April 24 — 12 days later than in 2011, thanks to tax hikes including Obamacare. 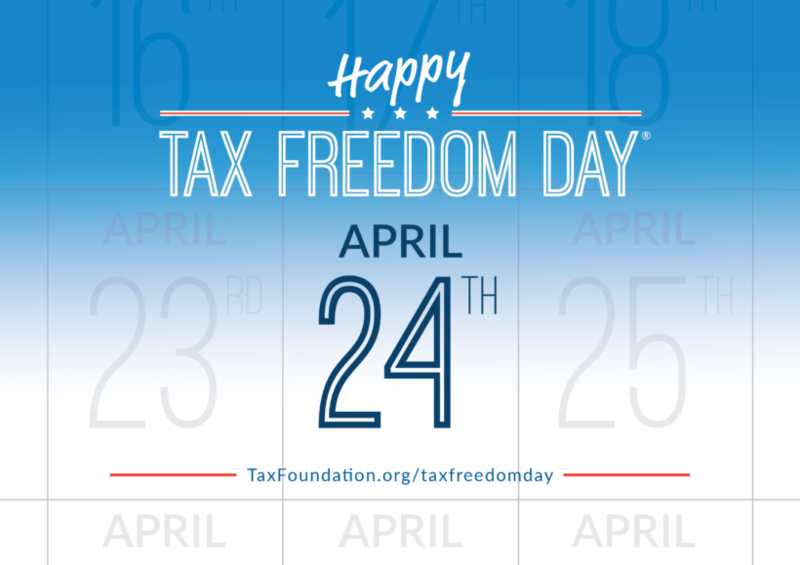 Despite the fact that Tax Freedom Day has moved almost two weeks later into the year, the evening news shows on ABC, NBC, and CBS never covered it between April 5, 2011, and April 13, 2016. The information is provided by The Tax Foundation, which has released a report on Tax Freedom Day since 2006. They also retroactively calculated Tax Freedom Day going back to 1900. Pete Sepp, the president of The National Taxpayers Union, says the media should report on Tax Freedom Day. “Many Americans sense that their tax burdens are creeping upward and the major media have a duty to explore that phenomenon,” Sepp wrote. “If in the process [the major media] want to have a debate over the data that goes into calculating Tax Freedom Day, so be it. The measurement is entirely defensible. But silence should not be an option,” Sepp continued. Since at least 1997, the news networks have negatively covered tax cuts while simultaneously defending tax increases. The media also gave the IRS a pass when they were caught targeting conservative groups in 2014. When Obamacare came into effect, it created or hiked 13 separate taxes, but the networks ignored them in 87 percent of news stories between Nov. 17, 2014 and Feb. 17, 2015. 1. What types of bias is the excerpt an example of? a) Do you agree with Mr. Sepp’s assertion? Explain your answer. b) Ask a parent or a grandparent the same question. The excerpt is an example of bias by omission and story selection.